A great deal of government “spin” and some from big superannuation managers, tell us that the superannuation system needs an overhaul. 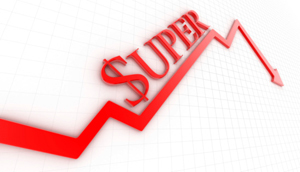 Changes to “lost super” are more likely to benefit big fund managers or the government who hold this vast reservoir of “lost” super, than it will benefit members. Is this an issue created out of mere inconvenience? Your super is considered “lost” if your account has not received any contribution for two years or mail sent by the fund is returned unanswered twice. Such a broad sweeping interpretation means distorted statistics.